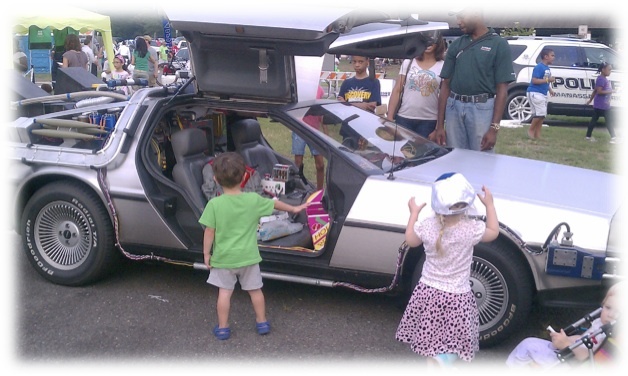 Anglea Pounders, a frequent contributor to PwcMoms.com, gives her feedback on the National Night Out in Manassas Park, Virginia. 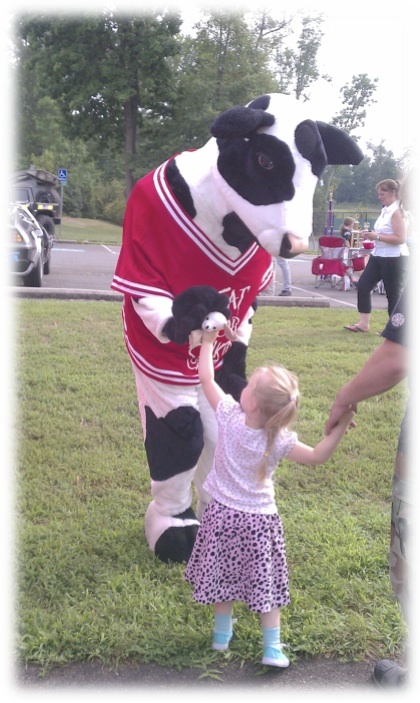 For more information on National Night Out, visit their website. 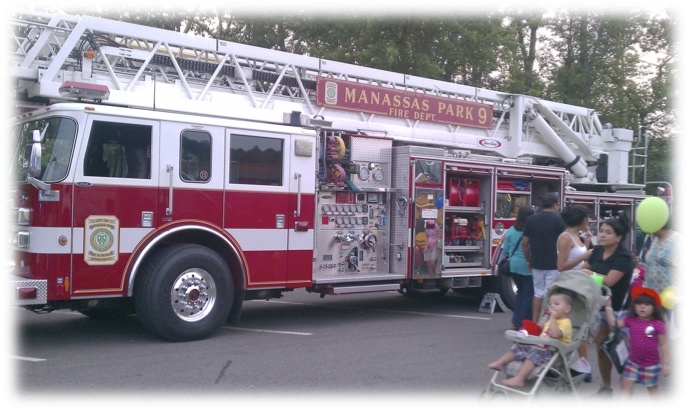 National Night Out is a nationwide event that is held the first Tuesday in August and was from 5:00 pm – 9:00 pm at Signal Hill Park for Manassas Park. 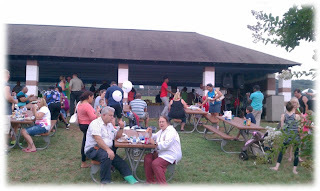 I checked out to see what other local cities were doing and let me tell you, Manassas Park really does this event up! 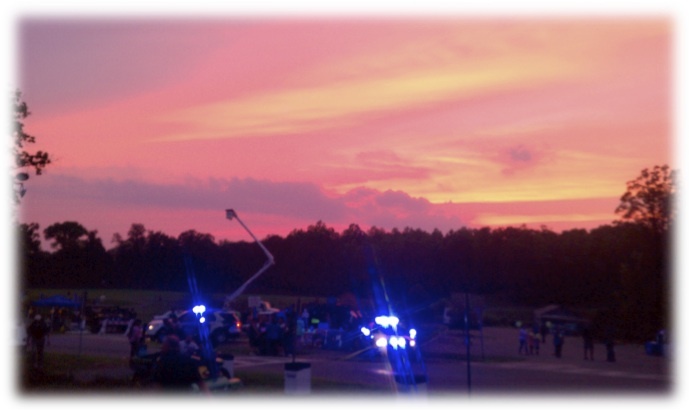 Not only is this a time for communities and local law enforcement to stand together against crime and interact in a laid back environment, it is a night full of fun for the family! 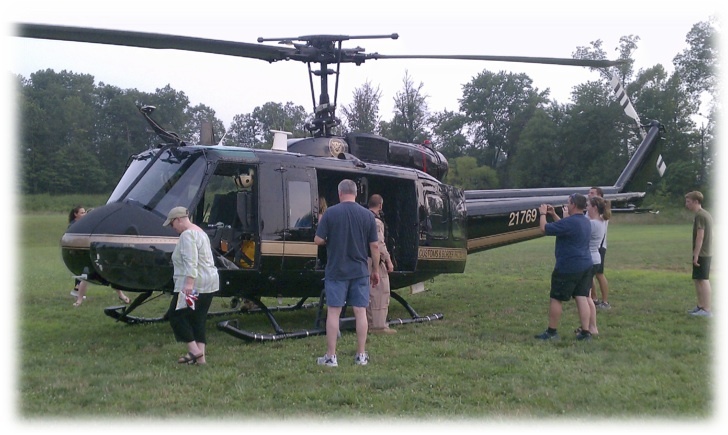 The night included free food, giveaways/freebies and a variety of local, state and federal vehicles to view up close and personal. We have gone to this event for several years and were looking forward to attending again this year. We weren’t so lucky to get a parking spot on the park grounds, but we got one of the first spots in the field across the street. Police were directing traffic by the entrance of the park, so that made it easier to get where we needed to go—both for parking and crossing the busy street with a toddler in a stroller and a preschooler in tow. 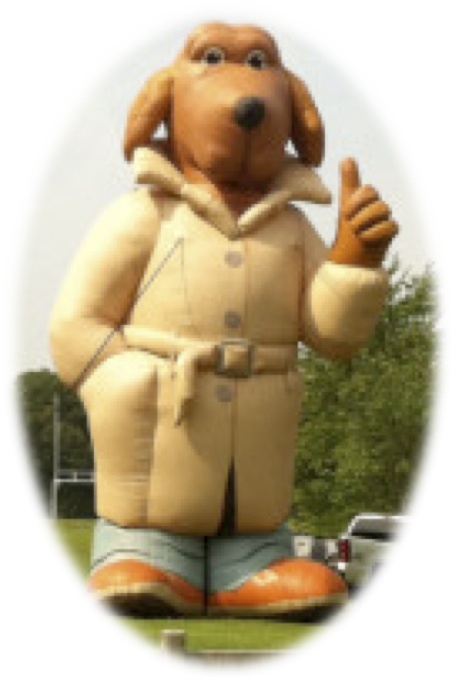 McGruff the Crime Dog greeted everyone as we made our way into Signal Hill Park. As we got closer to the event area (it’s a little walk), we could hear bagpipes playing. Finally, we saw three men all decked out in kilts serenading the group. Live music is always a plus. The first thing we did was to go and see the Chick-fil-A cow. My 3½ year old is in love with that thing. So of course, we ended up at Chick-fil-A Signal Hill’s tent. They had a prize wheel with awesome prizes. We left with a CFA water bottle and coupons for a free kids’ meal, a sandwich and a lemonade. A good start to the night, I’d say! Then, we decided to get dinner before the lines got too long and there were still tables available. The set up was a bit different from years past. The picnic tables were set on the other side of the pavilion away from the grills and such. This was nice except the ground tilts on that side. All of the tables appeared to be leaning! It made for some tricky balancing on the table, but we survived! They had some live music under the pavilion while we ate. I suggest bringing a picnic blanket if you arrive later in the night so you have a place to sit. According to Manassas Park Police via www.manassaspark.patch.com, some 3,000 people turned out for the event. That’s a lot of water and food!! Of course, they had the usual grilled burgers and hot dogs, but they also had pizza, cold sandwiches and Chick-fil-A sandwiches. On the side, there was watermelon, chips, cookies and freshly made popcorn (which ran non-stop all night). My girls were a bit too hot (it was quite humid) and excited to eat too much though. The Aaron’s dog, Lucky, served as one of the distractions during dinner. 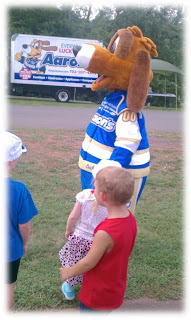 My 3½ year old was actually following him around! I guess she has a thing for big, fuzzy animals. 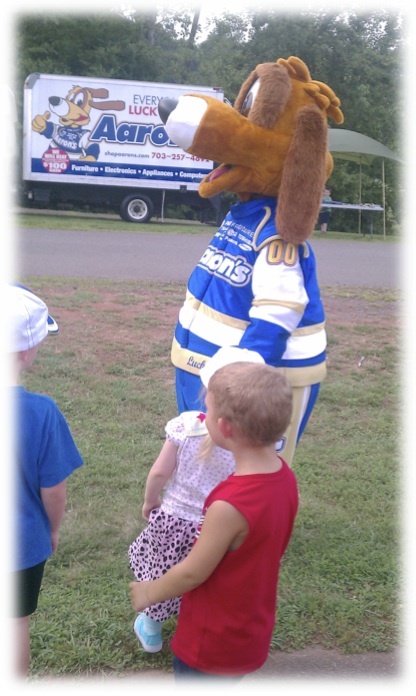  Their giveaways included a stuffed Lucky and an Aaron’s baseball cap. Our next stop was the helicopters! A little Miss Someone was very eager to get a closer look this year as we missed out last year. How many people get this opportunity in their lives? 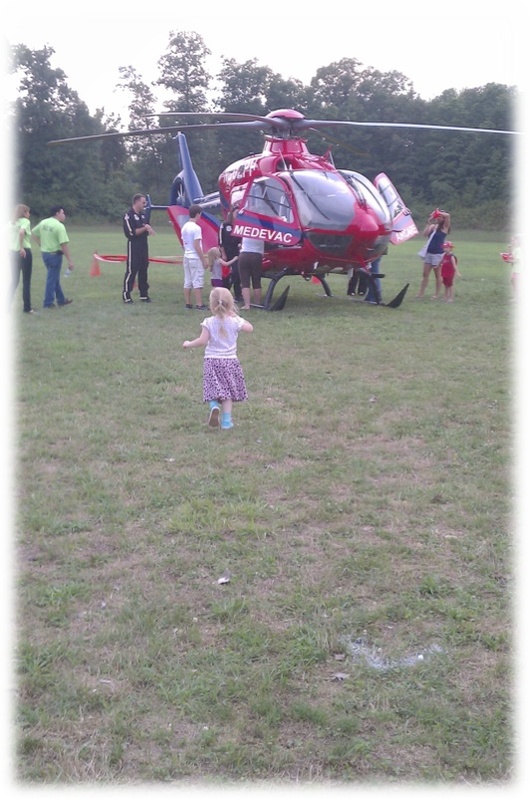 First, we saw Aircare 1, a medevac helicopter used to take patients to area hospitals. 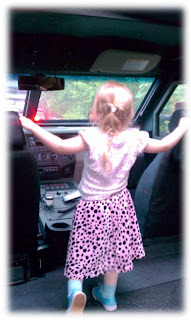 My daughter loved sitting in the back and checking out everything. 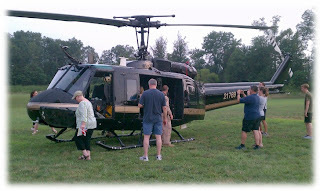 There was also a border patrol helicopter manned by a gentleman with a large firearm. We got to sit inside this one as well. They even let the children try on the headphones with microphones – very cool. However, we do eat sno-cones! Snowie BUS was there with free shaved ice for the children; adults had to purchase their cones. There was a flavor station next to the bus where you could pump out your own flavoring. A fun idea except for the bees that were hanging around! This served as a great way of keeping my girls hydrated on such a humid, warm night. After our little break, the family checked out the numerous vehicles on-site. These included the typical fare such as a police car and fire engine to the not-so-typical 8-foot-tall Alpine Pit-Bull VX armored SWAT vehicle, a replica of the Delorean time machine used in the Back to the Future movies, and “Barricade,” a 2006 Ford Mustang GT used in the 2007 Transformers movie. After three hours of walking around the park, exploring the vehicles and such, everyone was ready to go home. 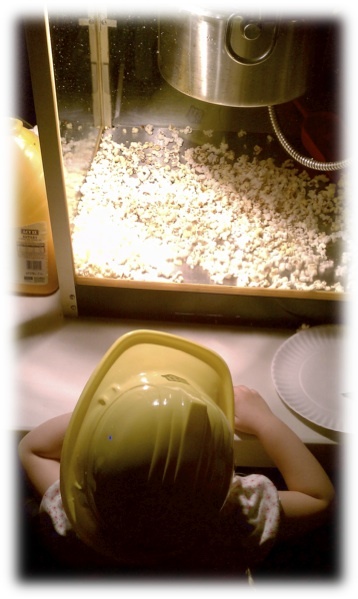 We were tired and sweaty, but couldn’t go without the promised freshly popped popcorn. Who knew so many people would want popcorn!? I waited in line forever, but my sweet girl was very patient. There was even some watermelon left over for her little sister. Above the glow of the police lights, God blessed us with this beautiful sunset before we left. All in all, a fun, but tiring night! Arrive early for a good parking spot. Be prepared for the weather! There is little to no shade from the sun and it is usually humid this time of year. Bring sun protection and stay hydrated! Bring a blanket to sit on, unless you don’t mind sitting on the grass, because picnic tables fill up fast! The bathrooms are located under the pavilion and were pretty decent. (You know me and bathrooms!) Bring hand sanitizer though. Bring a bag to carry home your goodies in. We had very minimal stuff to bring home (as I was determined not to pick up a bunch of things “just because”) but still, a bag would’ve been nice. Take some time to actually talk with the law officials and thank them for what they do. Plus, you might learn something new! Angela Pounders is a transplant to Manassas Park from Arlington. She is blessed to be a stay at home mama to two beautiful girls. As a former teacher (as well as preschool director and Children and Family Director), she is always on the look out for fun, easy and educational things to do with her girls. She also loves to share her ideas and will be starting her own blog, The Master’s Daughter, by the fall.